Jane Eyre? Jane Austen? No, it’s the girls from The Second Mango, Regency-style! 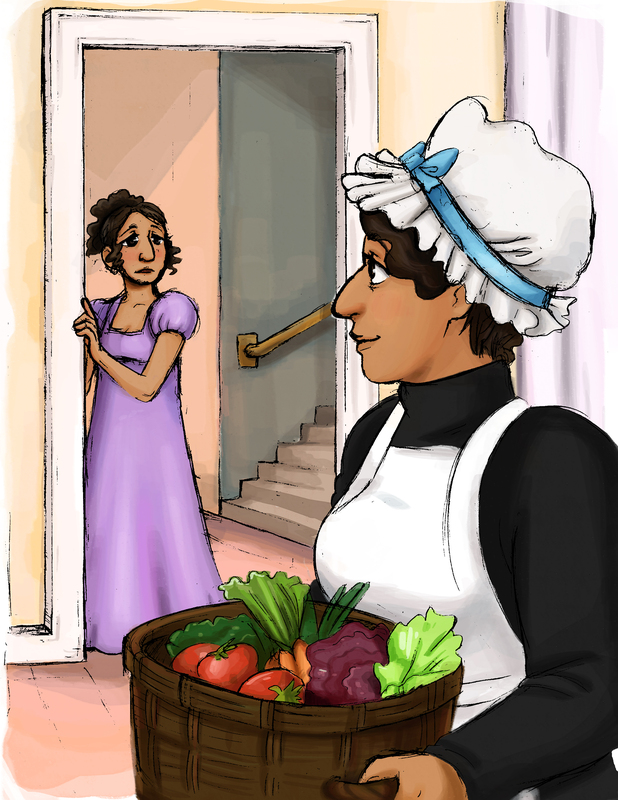 The f/f backstory in The Second Mango, done up as a Regency romance AU by Becca Schauer. So, here we have a grand estate, in which the sickly daughter of the house is falling in love with the cook who’s helping her figure out which foods she can eat safely. Aviva is the cook, and that’s Shulamit there on the left, watching her. This entry was posted in Uncategorized and tagged bisexual, books, class difference romance, cooking, f/f, femslash, glbt, historical, jane austen, jane eyre, jewish, kitchen, lesbian, lesfic, lgbt, queer, regency, regency romance, romance. Bookmark the permalink.